A perfect record earlier in the week in the Junior Girls’ Team event at the 2017 El Salvador Junior and Cadet, not one defeat against her name; in the ensuing Junior Girls’ Singles competition, that record was maintained. On the late afternoon of Sunday 20th August, Ishana Deb of the United States duly concluded matters standing proudly on the top step of the podium and thus collected her first ever ITTF World Junior Circuit Girls’ Singles title. The no.2 seed, at the final hurdle she accounted for Guatemala’s Lucia Cordero, the top seed, (9-11, 11-8, 11-8, 13-11, 11-6), having earlier in the day overcome the host nation’s Monica Mendoza, the no.4 seed (11-5, 11-3, 11-6, 11-9); in the counterpart semi-final, Lucia Cordero had beaten El Salvador’s Keren Constanza, the no.3 seed (11-3, 11-6, 11-6, 5-11, 11-7). Disappointment for Lucia Cordero but earlier in the afternoon there had been success; she partnered colleague Paula Acevedo to victory in the Junior Girls’ Doubles event. At the final hurdle the pair overcame Keren Constanza and Cecilia Orantes (5-11, 11-8, 12-10, 11-5). Gold and silver on the concluding day of play in San Salvador; for Puerto Rico’s Fabiola Diaz it was gold followed by more gold, overall three medals of that colour. She won the Cadet Girls’ Doubles title in partnership with compatriot Kassandra Maldonado, the player with whom earlier in the week she had secured the Cadet Girls’ Team title, before being anointed Cadet Girls’ Singles champion. A walk-over against El Salvador’s Monica Mendoza and Camila Villalta was an anti-climactic ending to the Cadet Girls’ Doubles event but in the Cadet Girls’ Singles competition she had to withstand spirit adversaries. At the semi-final stage she accounted for Sarika Ahire of the United States (11-8, 5-11, 9-11, 11-8, 11-4), prior to clinching the title at the final expense of El Salvador’s Monica Mendoza, a contest that ebbed and flowed. The Puerto Rican eventually emerged successful by the very narrowest of margins (5-11, 11-2, 3-11, 11-6, 14-12). The bronze medal for Sarika Ahire, in the Hopes Girls’ Singles event it was gold; at the final hurdle she overcame Puerto Rico’s Brianna Burgos to secure the title. Play concluded in El Salvador, attention now turns to Europe. 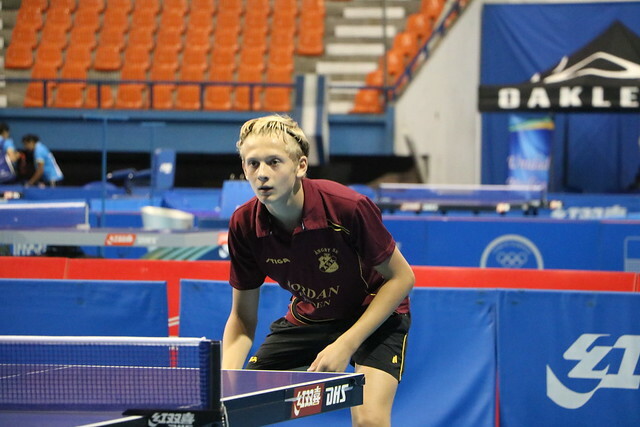 The next stop on the 2017 ITTF World Junior Circuit is the Croatia Junior and Cadet Open. Play commences in Varazdin on Wednesday 13th September.